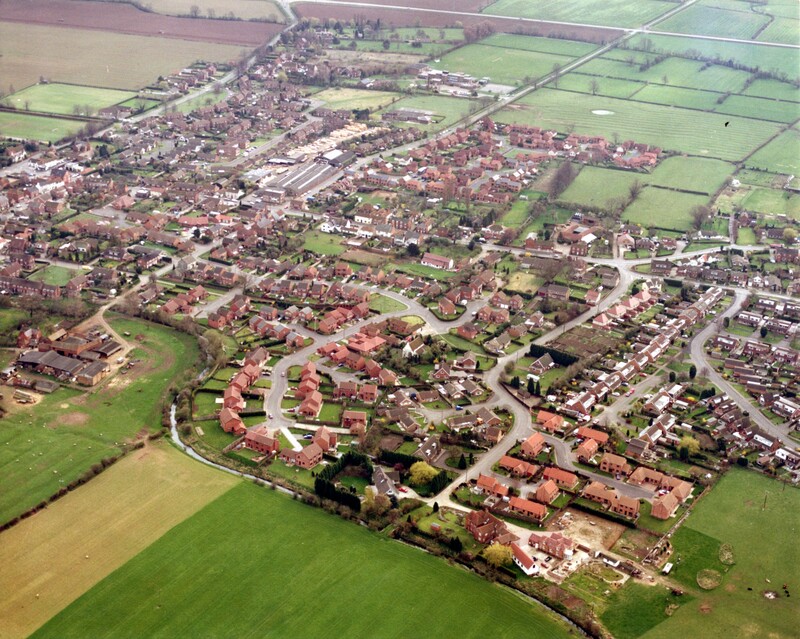 An aerial photograph looking down obliquely at the housing developments of the West End of Bottesford during the 1970s-1980s. Three photos taken from an aircraft flying over the village at c.1000 feet, in colour, showing parts of the village during its development in the 1970s. The bypass is in this picture so it must late 80s early 90s. The Bottesford bypass opened on 6th February 1989 14 weeks ahead of schedule relieving the community of 6000 vehicles a day one third of which were heavy goods vehicles.